Lynne Billing surprised her husband Sean with a date night at a Moose game during this season’s home opening weekend. Although their two daughters were home with nana, as they sat there enjoying the action, they had an aha moment. This was the activity they had been looking for which would meet everyone’s interests and allow them to spend quality time together as a family. 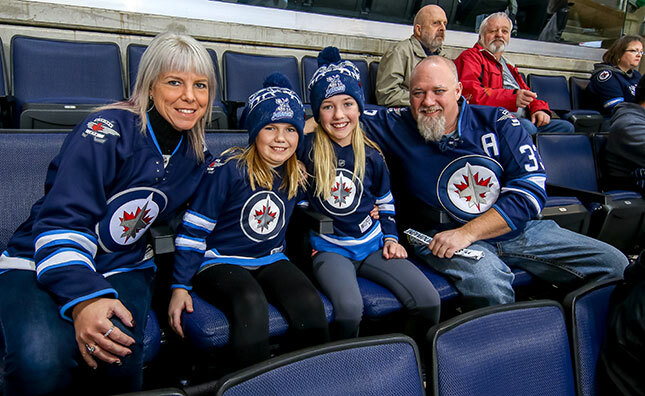 Although Charlotte, 12, and Marly, nine don’t play hockey themselves, the Billings have always been a big hockey family, watching Jets games and cheering on friends and family members at their local rinks. 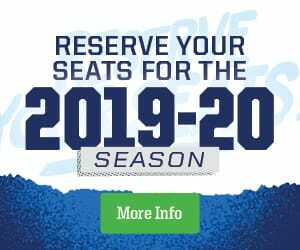 “First and foremost, it’s really good hockey,” stated Billing, who that very game visited the Moose team on the concourse to purchase a 12-game mini pack. Oct. 21’s Pride game was the first Moose game they attended as a family and Billing said the kids had a blast. 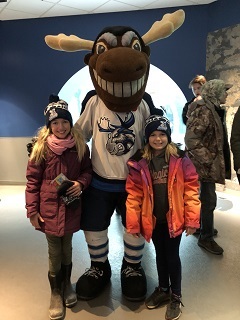 The whole family has been impressed with the total entertainment package that Moose games provide, from the pre-game activities on the concourse and the chance to meet Mick E. Moose, to all the fun between plays. The family is still getting to know all the players and are paying more attention to the team even when they’re not in their seats. He noted that it’s easier to stay connected to the team with the Moose being based in the same city as the Jets, simply because of the increased awareness of all the players, and especially those who play between both teams. With a weekend mini pack that features many of the exciting promo games, the Billings still have most of this season’s games to look forward to, but they aren’t limiting their Moose fun to the in-game experience. 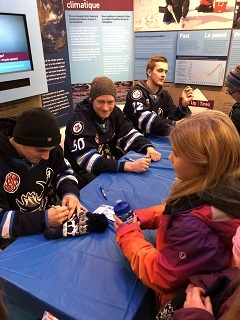 They took in the team’s community visit to the Assiniboine Park Zoo in early November where they were able to meet and greet in the Journey to Churchill exhibit. As well as being a fun time, the event helped to build an even greater connection to the team. “The kids were so pumped to meet all the players. For them to be able to put a face to the name and see the actual size of these young beasts, it’s fun for them,” he said, adding that the players were wonderful with the kids. Now, there will be even more meaning behind their in-game cheers when they take in their next games over the holidays, including the New Year’s Eve Game, which they are looking forward to as some extra time to spend together during the holiday break. “If the kids are having fun, I’m having fun,” he said.